If India’s ban on cattle and buffalo slaughter announced last Friday remains in place, it will trigger one of the most sudden reductions in supply the world’s beef trade has seen. India supplies about 20 percent of global beef exports, selling 1.8 million tonnes of buffalo beef into the world market each year. The abrupt removal of that volume from global markets would create a massive shortfall in supply of lower value beef. The resulting vacuum would create market opportunities for beef from other export sources, including Australia. India’s relationship with beef is a paradox where religious views and economic interests collide. Its massive Hindu population worships the cow. Yet at the same time India is also one of the world’s largest beef exporters. 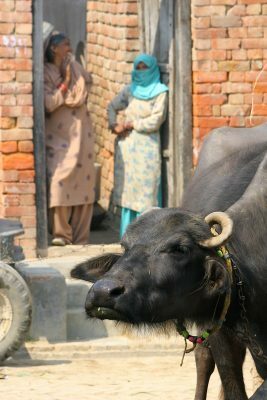 Indian “beef” exports are dominated by meat from buffaloes at the end of their milk-producing lives, sold by small farmers who own one or two head each and processed in abattoirs owned by India’s minority Muslim population. 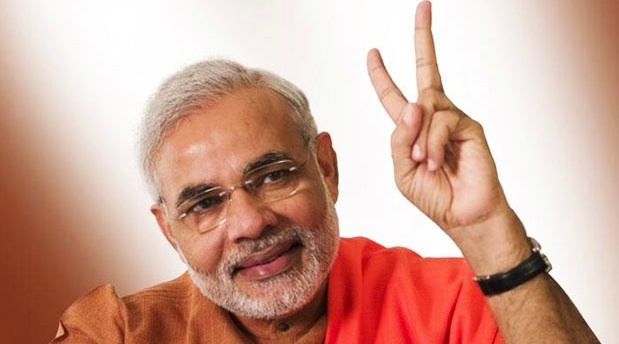 Hindu dominated Governments at provincial and national level have been ramping up crackdowns on the slaughter of cattle and buffalo in recent years, particularly since the election of Hindu nationalist prime minister, Narendra Modi, in 2014. Mr Modi ran on a platform that included banning cattle slaughter and imposing a national cow protection law. Several Indian States have increased punishments for crimes against cows since Mr Modi’s election, including his home State of Gujarat, where anyone found guilty of killing a cow now faces life in prison. Incidents of mob violence by self-appointed cow-protection gangs against people they suspect (at times wrongly) of killing cattle or storing or transporting beef have also spiraled since Modi came to power. At least 10 people have been killed by vigilante groups in India since 2015, amid claims Hindu authorities have not only turned a blind eye, but have filed complaints against the victims themselves under laws banning cow slaughter (see this website for more details). The clampdown escalated last Friday when Modi’s Hindu government announced new restrictions banning cows and buffaloes from being sold for slaughter at animal markets. Cattle traded at markets will now only be able to be bought for agricultural purposes such as ploughing and dairy production. This new rule has major ramifications for India’s meat processing trade, because about 90pc of buffalo purchased for slaughter are bought out of animal markets. The Modi Government has justified the restrictions on animal welfare grounds, and has also set minimum standards for animal housing and transportation. Not all Hindus are opposed to beef consumption. Some Indian Hindus regularly eat beef, as do Muslims and members of less socially dominant castes who see beef or buffalo meat as a cheap and important source of protein. Muslim meat and leather traders will be hit particularly hard by the ban, as will be millions of small farmers who rely on being able to sell their ageing buffalo cows for slaughter so they can buy younger replacements. The All-India Meat and Livestock Exporters Association told The Guardian newspaper this week the ban will cost an estimated 2.5 million meat industry jobs. India’s leather industry, which is also heavily impacted by the ban, reportedly employs three times as many people. The Indian buffalo beef export industry was worth more than $4.1 billion to the Indian economy last year. Little wonder last Friday’s announcement erupted into a national controversy this week. Governments of some Indian States have publicly voiced anger at the ban and have lodged court petitions against it. The Madras High Court in the southern state of Tamil Nadu yesterday became the first jurisdiction to mount a successful challenge against the National Government’s ban. “The court ruled that the order be put in abeyance for four weeks and asked the central and state governments to reply to the petition filed by my client,” Ajmal Khan, a lawyer for the petitioners, told AFP news agency. The chief minister of Kerala State went on Twitter to describe the ban as a “clear attack on the essence of India”. Kerala State held a “Beef festival” in defiance of the regulations where a cow was publicly slaughtered (and where a local student participating in the festival was also reportedly beaten by supporters of the ban). After the protests from several states, some media reports are suggesting the Indian government may be rethinking the rule. A number of international media outlets have stated that Government sources have indicated that buffaloes may yet be excluded from the ban, but that decision is yet to be taken. Others are quoting officials who are firmly making statements that no such exemption will be applied. How will the millions of cattle and buffalo slaughtered in India each year be managed if the ban continues? India ‘s NDTV reported that farmers this week who were hoping to sell infirm former milking buffaloes at a century old Uttar Pradesh cattle market, where 200-300 buffaloes are sold for slaughter every day, now had to simply leave their the cattle on the road. Cattle Council of Australia president Howard Smith told Beef Central it was still too early to know if the ban will remain in place. If it did he said it was likely it would create opportunities for Australian beef. MLA international marketing manager Michael Finucan, said there were signs the ban may not last, given that several states had now lodged court appeals against it. “Obviously if this was to take full effect it would create a massive shortfall in global markets,” Mr Finucan said. Australian beef does not compete directly with Indian product, which is typically sold into the high volume, frozen, lower priced end of the market. Australia’s four biggest markets – the US, Japan, Korea and China – do not allow Indian beef access, so a ban would have limited effect on those markets, Mr Finucan said. There is also of course potential for this ban to significantly disrupt the flow of cheap frozen Indian buffalo meat to Indonesia, last year’s introduction of which has negatively impacted demand for Australian cattle imports. Regular Beef Central columnist and South East Asian market expert Dr Ross Ainsworth said that if the ban remains, it would represent the greatest reduction in supply in the history of the international beef trade. However, he said, many people feel the ban will not last, largely because it will hit India’s economy too hard. If the ban does stand, it would still take time to have an effect on the Indonesian market, he said. “Indonesia has about 40,000 tonnes of buffalo beef still in cold stores so there is certainly no reason for concern about supply for quite a while yet,” he said. Won’t be long till India has a problem with too many cattle, a lot of what happens in India is politicking. I suspect this will just quietly go away after all they are a poor country that cannot afford to lose a 5 billion dollar export market. Information flows fast in the modern world, but India is still very much a divided country with many living in poverty. Hard to judge with our ruler. Australian beef may be too expensive for those markets, and whilst Indonesia is a continuing unknown quantity as a destination, many may turn to substitutes.